Is Your Grain Bin Calling You? Then Call Us Today! How often do you worry about the amount of moisture in your grain bin? Or wonder about the level of grain in your bin? Gateway FS Construction Services has the solution for you! XProxy may be exactly what you need. A cloud based platform, xProxy allows machines, such as grain bins, to alert your smart phone about almost anything. Moisture levels in your grain bin too high? Grain levels too low? XProxy can let you know and avoid a potentially catastrophic event! XProxy comes equipped with a preconfigured cellular modem so it can instantly enable hardware to send certain messages to several recipients via text, email, voice or push notifications. 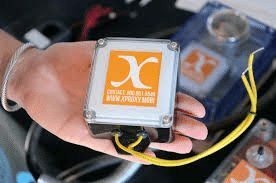 Entirely self-powered, xProxy can be easily wired to any relay, switch or signaling device with a set of dry contacts, including pressure switches, float switches, temperature switches, limit switches, or pump station alarms. And because each xProxy device has its own dedicated connection to a Verizon network, it is connected and ready to work for you immediately, with no monthly fees. Setting up xProxy is a simple four step process: (1) Connect xProxy to any dry contact that you want to monitor, (2) Use the xProxy app on your smart phone to register your device, (3) Draft a message to be sent when xProxy senses a change, and (4) Make a list of numbers that should be sent your message in case of a variation in status. You are now ready to avoid a critical and costly incident! Don’t delay – call Nathan Koester at 618-528-2395 or Darren Knobloch at 618-792-8406 to discuss how to take advantage of this great opportunity today! Gateway Construction Services’ top priority is delivering agricultural operations solutions that exceed your expectations, whatever your needs. If you don’t have xProxy and your grain bin isn’t calling you, then call us right now! We look forward to providing you the best customer service experience. 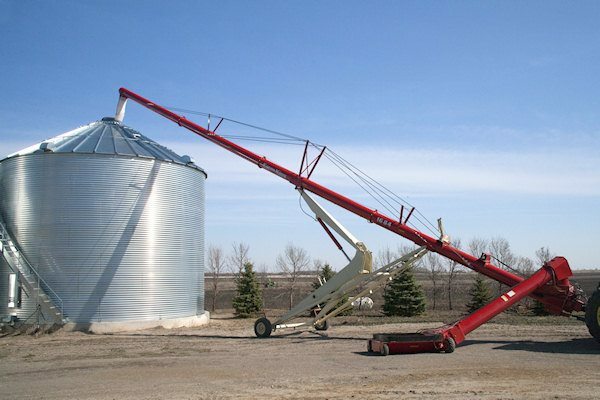 Gateway FS Construction Services is proud to offer our customers the very best in agricultural handling equipment such as augers, conveyors and hoppers. Hutchinson/Mayrath, a divison of Global Industries, and a partner of Gateway Construction Services, has been providing the highest quality grain handling products for almost 60 years, including a robust selection of augers. The professional sales team at Gateway FS Construction Services is ready to work with you to help you determine which of the augers best fit your specific needs. Sale prices are good through July 31, so hurry and act now! Don’t delay – call Nathan Koester at 618-528-2395 or Darren Knobloch at 618-792-8406 to discuss how to take advantage of this great opportunity today! Gateway Construction Services and our partner Hutchinson/Mayrath work together to deliver agricultural operations solutions that exceed your expectations, whatever your grain handling needs. Give us a call at 866-551-3454 and let us help. We look forward to providing you the best customer service experience. 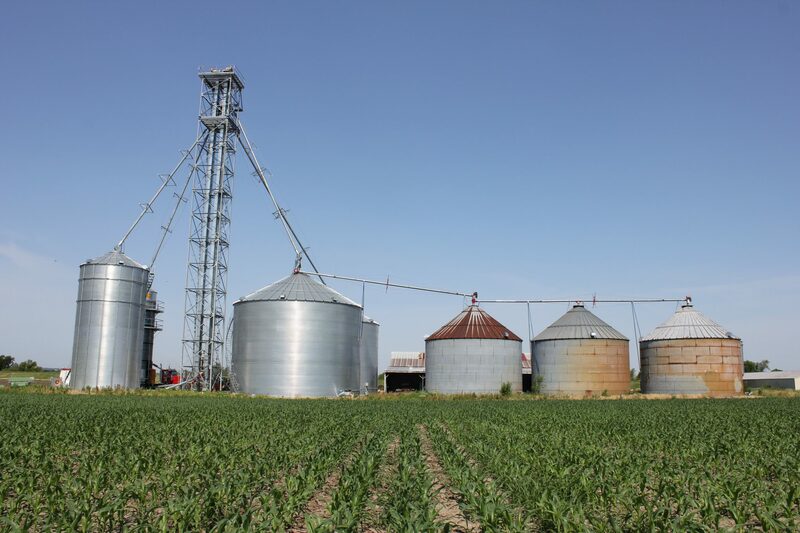 Are Your Grain Storage Bins A Safety Hazard? Are your farm’s storage bins outdated and falling apart? How long are you willing to gamble on the durability of those bins? If you do not have storage bins, is your grain really protected from the various predators whom desire to consume it or the weather that may threaten it? The smart solution to these questions is to either consider replacing your storage bins as soon as possible or contemplate purchasing new storage bins for your grain to safely rest in before distribution. Including grain storage systems, Gateway FS Construction Services provides a wide variety of grain system services of the highest quality. The average farmer knows that an effective grain handling system that boosts production is essential and is a significant, yet worthy investment. At Gateway FS Construction Services, we will work with you to determine which of our partners, including Sukup, Brock and GSI to name a few, offer the best grain storage deal for both your budget and needs. As a grain storage equipment supplier, Gateway FS Construction Services seeks to provide you with the latest grain storage technology through our providers at the best possible price. Throughout our time working with farmers, businesses, and equipment providers, we have learned one thing: each individual need is unique. At Gateway FS Construction Services, we understand the importance of sourcing the right solution for your need and also that it is in everyone’s best interest to ask questions and explore needs to ensure an optimal solution is identified. With this in mind, we are always here to openly consult with you regarding your farm or business needs. Our goal is to provide you with the equipment both necessary and effective that will make your farm or business thrive. For a no obligation consultation and further information regarding storage bins or any questions regarding what Gateway FS Construction Services can do for you and your business or farm, give us a call at 866-551-3454. We look forward to providing you the best possible customer experience.